How to Start a Youtube Channel – Pro Tips! In this video, Tasha, a full-time YouTuber with over 140K YouTube subscribers, dives into the details of growing your YouTube channel. Tasha and her family are able to make over six figures per year just through their YouTube channel alone! If you want to know how to start your YouTube channel from scratch, watch the amazing video below. Tasha from One Big Happy Life is a full-time lawyer, Mom to two amazing kids and has a great husband and she’s also a YouTube rockstar. She shared some of her biggest secrets and tips with me in a live interview and I’d love to share them with you. Tasha grew her YouTube channel from zero to 144,000 subscribers while working full time. After a three-year struggle and one loss, Tasha gave birth to her son in February of 2016. During her struggle to find a job that allowed her more time to spend with her son she started looking for a passion project. Around that same time, she got a $100 check in the mail from YouTube , which she took as a sign. The check was from a hair video she had posted three years earlier. She cut off all of her hair because she decided to go natural. YouTube videos she had previously viewed had given her the courage to take the leap, so posting her own was her way of giving back. Over those 3 years, the video started amassing views and dollars until it finally hit the $100 payout threshold. She fell in love with making YouTube videos. What started with hair, and documenting her job search, turned into 144,000 subscribers and a 6-figure income! After Tasha’s first hair video she posted a few updates. In doing those updates, she tried a variety of different techniques and was not focused on trying to make them perfect. She was just having fun with it. Tasha gave herself grace and space to have fun with the videos even though they were low quality. She also maintains that your true fans will pivot with you if you need to make a pivot on the topic that you vlog about later on. Tasha is featured in the April 2019 edition of O Magazine on page 54! She is now an O Magazine brand ambassador and got to work with Nature Tint, which is an at-home hair dye. She got to go to Manhattan and have a professional photo shoot! How do you Become a YouTuber for beginners? The short answer here is start making videos and posting them! No, they will not be perfect. They may not even be on topic, but that’s ok. We all start somewhere. Allow yourself to be a beginner. You need that room to grow. The more videos you post, the better you will get. Just like blogging, you learn as you go along. If you are wanting to know how to get started with YouTube , there is good news- It’s free! You can log in to your YouTube channel with your google account and activate your YouTube account. You will want to put up a profile picture when you get your channel up. Actually getting your channel up takes less than five minutes. What Vlogging Equipment Do I Need to Be a YouTuber? YouTube equipment for beginners is pretty easy. The rule of thumb is start off using what you have. You can start recording videos with just your cell phone and a tripod and then upgrade as your channel grows. You will eventually want to upgrade your equipment to professional grade camera, microphone and lighting, but that will come with time. The actual shooting of the videos can vary in complexity. Many people have grown their channels from simply shooting them with their cell phones. Some are not even edited. Tasha started using what she had – a dslr camera, specifically a Canon T5I. Her first videos were blurry and behind the current tech. She shot them with just the camera and onboard sound with the help of a tripod. Then next piece of equipment she got was an onboard hotshoe mic that plugged into the top of the dslr to make the sound a bit better. When her channel started growing she invested in a better camera. Her upgraded camera was a Canon G7X. Since then, she has continued to upgrade her equipment. Tasha is no longer using her cell phone or her first camera. As previously mentioned she has upgraded her equipment little by little. She has a spotlight specifically for her since she has dark skin and her husband, Joseph, has light skin. If they share the same lighting, she will either be too dark or he will look washed out. They do have a teleprompter, but they rarely use it. They have 2-3 lights going at any given time and the mic above them. They have the camera across from them. Tasha cites eight basic revenue streams when it comes to YouTube . Three of them are Ads, two of them are a form of working with brands, and the others might surprise you. YouTube has built in SEO, so videos made years ago can still make money, creating passive income streams. Ads at the beginning, which you can skip, or the creator can make unskippable. Brand work for brands on their platform. The ads are pretty straightforward. You put them in your video and you get paid per number of views. Sponsored content, will be the next section, but what about the last three? How do they make money? I have a very detailed post about how to start a blog and make money. You can also create online courses and make money, which has the added benefit of growing your email list as well, even if the course is free. Instagram can also be used to make money, in many of the same ways as a blog. If you have less than 5k subscribers, then you will have to reach out to brands directly. Your first work with brands will most likely be for just their product. When you first reach out, introduce yourself and ask if they can send you some samples. Tell them that you would love to feature a video on their product and maybe do a giveaway to promote it. Be sure that you reach out to bands whose products you intended to buy. At the end of the day, the product is not compensation. Your ultimate goal is to get away from getting “paid” with a free product and start making money. When you reach an audience of around 10,000, you should be asking for at least $100. You are a professional. You perform the marketing jobs of a camera person, a sound person, a light person, and editor, and actor. You should be compensated for that. Don’t be afraid to go to those same influencer marketplaces that you see bloggers go to because they frequently have video campaigns where you can stand out. Tip #1 For How to Start a Youtube Channel: Just Start! The first tip for how to start a YouTube channel is just starting it! You can’t drive traffic to a channel that you don’t have. Many people sit on the sidelines wanting to start a YouTube channel but hesitating because they don’t know what to make videos about. When you are starting a YouTube channel, make videos about everything! See what gets traffic, and what you actually enjoy doing. It’s much easier to start broad and niche down, than to start in a specific niche and find that you hate it. Once you start your YouTube channel, you need to consistently post videos. You should start with however many you can consistently do. One per week is a great place to start. YouTube is a place that your people show up and they want to see you. If they go a long time without seeing you, then they tend to forget about you and you lose followers. For Tasha, she and her husband started posting 3 videos a week in March of 2017. For a time they were doing four or five videos a week, but have since scaled back down to 3 a week for their channel. They also make one video a week for The Financial Diet, and one video a month for Into It. Most of the time Tasha keeps her videos between 10-15 minutes. She is quick to remark that the ideal video length depends on your audience. The most important point about video length is that it needs to be just long enough to get the point across. You don’t want a boring video. Your video should be tight, entertaining, and pack in as much information as possible. Find the right balance between explaining the information and keeping your video engaging. Your thumbnails should be pretty. Tasha has experimented a lot with her thumbnails and has found what converts by looking at her analytics. They keep the same thumbnail for all her videos. She and her husband are smiling in all of them and wearing different clothing. There is nothing wrong with having a nice picture of you with a nice background. The biggest thing is having a photo where you look nice and relatable. Know your audience and what they find relatable. Your life is busy. You do not have the time to stress over doing everything perfectly. Sometimes done is better than perfect. You have to pick and choose what’s most important to you. Over time you will build up a repository of photos that you can use for thumbnails and different places. Don’t sweat the small stuff! How Do You Grow a Youtube Channel, Manage Kids, and a Keep a Full-Time Job? Tasha and Joseph bulk shoot their videos, typically on Saturdays or Sundays while their son naps. They aim to shoot three to four videos during that time. The exception is the videos they shoot for Financial Diet. They shoot that one in their office, so they have to take the position of the sun into consideration. They aim for shooting those between 9am to 10 am. 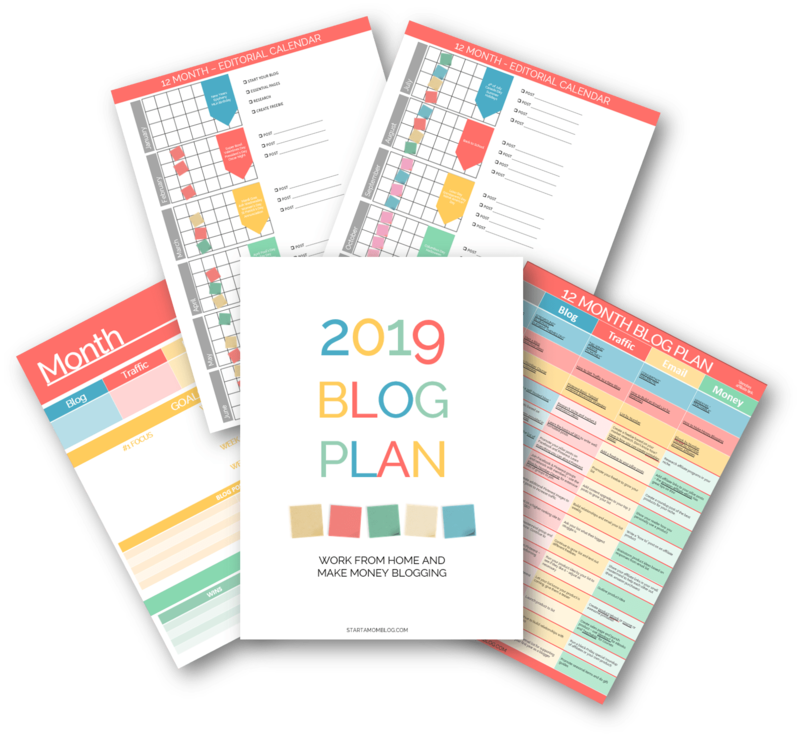 They use a content calendar (like the one I created for Mom bloggers here!) and they work on the outlines for those while they commute to work by train. When you first start a YouTube channel, most of your traffic will not come from search. Most of your initial traffic will come from YouTube referrals. When you are watching a YouTube video, other suggested videos will show underneath. That’s YouTube trying to decide what other videos that you will like based on what you’ve already viewed. YouTube wants people to stay on the platform and watch more and more content. It is in YouTube’s best interest to constantly serve new things. Unlike Google, which is looking to serve “new” YouTube wants to serve what’s “best.” Use your title, description, keywords, and (to some extent) hashtags to establish the relevancy of your videos. You want YouTube to know what other videos it should be linking your video to. Your goal is to show up as a suggested or related video at the end of another video. Your title, thumbnail, and first 3 lines of your description box are also what gets people to click through to your video. You have to balance the SEO part like “How to Stop Overspending” with the human part like “So you can finally feel good about your finances.” The problem (overspending) is for SEO, but the emotion part (feel good about your finances) is for the people. In short, pay attention to your keywords and headlines. Lives are more like a real conversation because you are directly interacting with other people. You can see people’s reaction when you say things in real time. The hardest thing to do is to come off your honest, authentic self when you are trying to deliver very specific, informative content. Tasha says she has improved over time. She says it’s been more of a struggle for her husband, Joseph, because he is not a public speaker. Though it is a camera, he still feels the same anxiety as if he was addressing a crowd. Tasha re-watches videos and pays attention to her facial expressions. She has found that when Joseph is talking and she is listening, she needs to always keep a bit of a smile to appear interested. Tasha also has to be much more expressive on camera than in normal conversation to keep the video engaging. It feels a bit awkward at first but looks great on video. YouTube is about finding the best way to present yourself to best serve your audience. That means putting in extra effort to deliver your content in an informative, engaging, and thoughtful manner. It’s not about you being comfortable presenting your content, it’s about how best to serve your audience. Subscribers seem to be almost a currency in the virtual world. You want to get as many subscribers as possible so that you can reach more people and gain more influence. Subscribers are social proof that you are offering valuable content on a consistent basis. The number of subscribers for your Youtube channel also helps when you are trying to get sponsorship for paid videos. 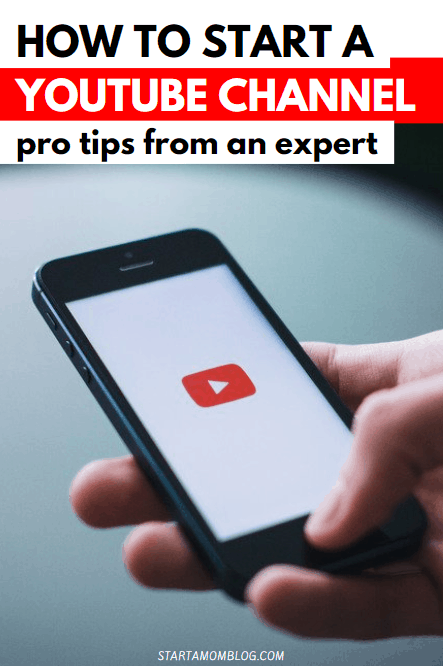 Here are some great tips to gain subscribers for your YouTube channel. Which Social Media Platforms Are Best Suited to Grow Your Channel? Facebook and YouTube do not “play” well together. If you are going to post a YouTube video on Facebook is to embed it into a blog post first, and then share the blog post. Alternately, you can put the video in the comment, and not the main post. On Pinterest, Tasha has tried both pinning the video directly, which makes it look like a little square, and making a pin that links to the video. If you are just starting out and have a Pinterest account that has followers, a few views a day from Pinterest are probably worth the effort to Pin it. However, most people on Pinterest expect to go through to a blog post. They do not expect to be led straight to a video. The watch time and retention of people that come through from Pinterest is much lower in Tasha’s personal experience. She does not pin her videos directly to Pinterest. Tasha uses several different strategies to research topics for her YouTube channel. Listens to how she feels about content that she’s consuming, especially those things that she disagrees with or feels like people are getting wrong. Looks at what other people are doing that she could put her unique spin on. YouTube and blogging go quite well together. You need a home on the internet. When Tasha started, she had a website that just said “coming soon.” She mentioned in her YouTube videos that she had a site that was coming soon and a sign up box to be notified. By the time she launched her website, she already had 300 email subscribers! Which One Do I Focus on First – Youtube Channel or My Blog? Focus first on the one that you are most comfortable with, then work on expanding later. Unlike social media channels, people watching YouTube are willing to leave the platform. They see you and they want to get to know you better, so they are happy to go to your website for any additional resources you have. You need a blog or website and an email list because those are resources that you own. You are a guest on YouTube because you do not own the platform. Having an email list gives you a way to access your subscribers outside of any other independently operated platform. Having a website and a YouTube channel also helps your branding be consistent. While you are securing your name, go ahead and grab the same name for all the social media channels that you eventually want to use. Blogging also offers an additional platform to form relationships with your viewers. It can also be a supplement to your income stream. Many moms make a full time income with their blog alone, so you can see how a blog has huge potential to increase your earnings with your YouTube channel. 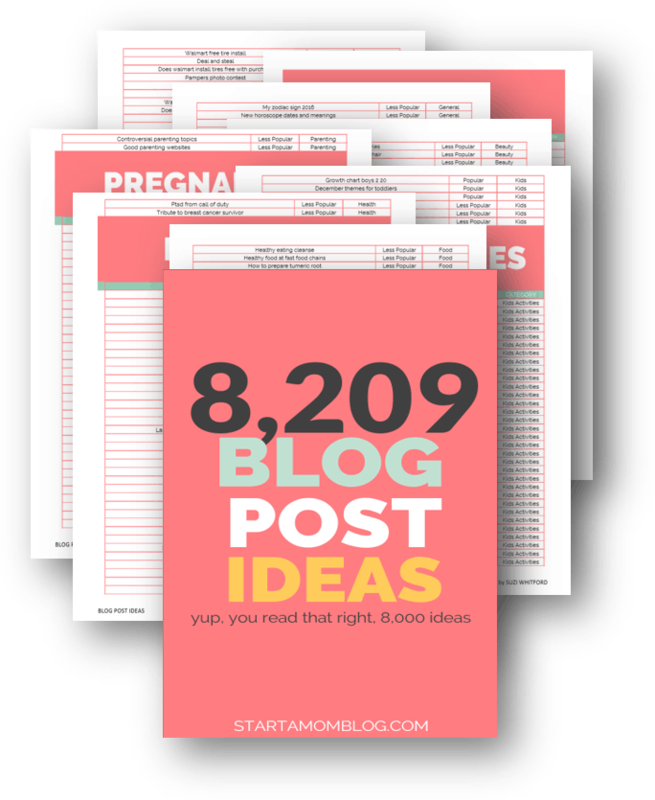 You can also change your blog posts and keep them updated, as you go along. YouTube is a bit more unyielding. Unlike blog posts, which you can change, once your video is up, it’s up. If you take it down, it loses all the momentum that it’s gathered along with its spot in the algorithm. You can cut a video down, but you cannot ADD anything to it once it’s up. We talked about thumbnails that convert above in the tips for starting your YouTube channel, but how do you make thumbnails and how do you connect them? Having a nice thumbnail can put a polished look on your videos. Thumbnails can be connected to YouTube videos on the backend of YouTube . You click “Upload.” As the video is uploading, it gives you an opportunity to add in your title, your description with keywords, what playlists you want to add it to, and your thumbnail. You can either add a custom thumbnail, or YouTube will suggest thumbnails once the video is processed. Tasha uses PicMonkey to make the thumbnails for her YouTube videos. She first pre-edits the photo that she wants to use, brightening the room and their teeth to make it pop. Then, she uploads the photo to PicMonkeyand adds the text. If you are unfamiliar with how to use PicMonkey, I have a free picmonkey mini-course that will teach you how to easily take advantage of all the platform has to offer. Your Youtube Camera Questions Answered! The middle of the camera lense should be eye-height. For Tasha, her camera is about 7 ft away (2.13 meters). However, she cautions that you can’t do that if your mic is on your camera because it won’t pick up the sound well. If your mic is on your camera, you need to be closer. Tasha’s mic is within arm’s reach. Tasha’s answer might surprise you. The sound quality is most important on YouTube videos. However, as long as the sound is ok (Not hurting someone’s ears) it’s more important to have a good looking video. People watch videos. It’s all about the visuals. Tasha uses the Zoom H1 (which is around $100), which is a sound recorder that she still takes with her when she is filming out and about. You don’t have to spend a lot to get good sound. They have spent much more on getting a good quality camera. She currently uses a Sony A73 for her camera (which is around $2000 for the camera body, with an additional $1,500 for the lense.) Remember, however, that this is the one that she has upgraded too, after making a six-figure income with her youtube channel. They slowly upgraded as their business revenue grew. More Beginner Youtube Questions Answered. You asked, we answered. Here are some common questions about starting your own YouTube channel. Tasha has pivoted a few times on her own YouTube channel. Her advice was to be very frank with audience before you pivot. Tell them that “I have really enjoyed doing this type of video, and our journey together. I am going to start transitioning to *new type of video* and I hope that you come with me. Don’t feel stuck doing one type of video that you hate. You can pivot and some of your subscribers will come with you. Just be very frank about the upcoming change and invite them to come and share in your journey. How many subscribers do you need to get money from YouTube? You get paid by views, and ironically, most of your views will not come from your subscribers. However, subscribers are necessary to start working with brands for paid videos. You need at least 5,000 subscribers before you begin to work with brands for sponsored videos. Shooting can take about 20-25 minutes. This amount of time, varies, of course, depending on the length of your video. It takes Tasha about 15 minutes to edit the video. To increase her efficiency, Tasha outlines her videos. She and Joseph do mess up, which they take out of the finished product, but it takes much less time to edit a video that has been shot with an outline. If you are editing on an older machine, it will take more time. You will get faster with more practice. Tasha uses a Dell XPS 15, which she recommends over a Macbook Pro. Need the best laptop for blogging? First, write out all of the steps and all of the shots that you want to take. Food videography is hard, especially if you miss a step in the middle and your food is already cooked. Have your shot list ready from the beginning. There are 2 ways that you can film YouTube videos of recipe preparation. You can put your camera on a tripod and direct it down at the food while you are preparing it. You can do an overhead shot with a T-stand (which is what Tasha has her overhead mic on.) It goes up and above. You put your camera on it, looking straight down at the food. Recipe videos also take a long time to edit because the process is much longer than what the actual video shows. You have to piece it together, do the voice-over, add music. They are fall more involved than a video where you are just sitting down talking. Tasha uses music in her intro that she bought from Audio Jungle. YouTube also has free to use music in audio libraries. The music in the YouTube audio library is creative common license, so you can use it all you want in your YouTube videos. You can also go to Sound Strike and look for pieces with creative commons license. Tasha pays for a music subscription service, Epidemic Sound, which is around $30/month. You can visit Tasha at onebighappylife.com and on her YouTube channel. She also has a 7 day quick-start free email course on how to produce quality YouTube videos for beginners within the next 7 days. Tasha has some amazing tips on how to start a YouTube channel. My biggest takeaways are the best thing to do if you are interested, is to take the leap and start your YouTube channel. You may not have the best equipment, and that’s ok. Like blogging, you will learn as you go and you can always upgrade your equipment as you go along. Blogging and YouTube go very well together, and you can start a blog and make money, as well as a YouTube channel. What are you biggest take-aways? Leave me a comment below! are you excited to start a youtube channel? Hi Suzi! Thank you so much for EVERYTHING! And thank you to Tasha, as well!